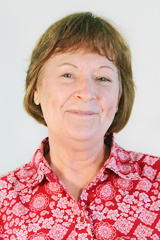 Ms. Zrelak was hired December 14, 2011 as the payroll and benefits specialist I. She transferred to the business office in June 2013 as the accounts receivable-accounting specialist. She has previous work experience as an HR Administrator for Quanex Homeshield Building Products. Her qualifications include many years experience training employees during new hire orientations and open enrollments. She was directly responsible for accurately tracking & reporting attendance, labor, and training times to the corporate office. Her enthusiasm and knowledge of safety & wellness programs resulted in a very safe work environment and put Quanex Homeshield Building Products in Oregon's Top 100 Best Companies list.